Somehow, knitting season has taken me by surprise all over again. You might say that the wool has been pulled over my eyes (if you were a desperate blogger after any opportunity to throw in cheap and cheesy cliches to appear effortlessly silver-fingered; not a writer feeling laboured and awkward, spending an inordinate amount of time nose-deep in the thesaurus). 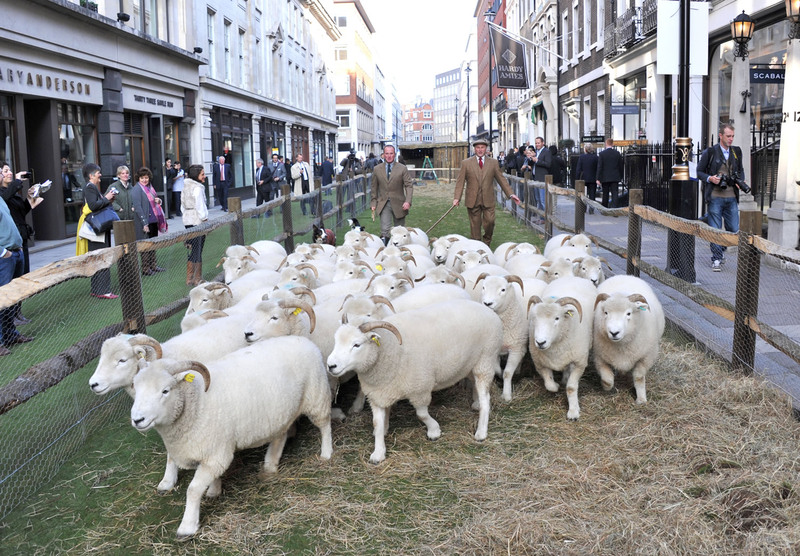 Nevertheless, I’m pretty taken aback to discover Wool Week (14th – 20th October) is here again. It seems like only last week that the beautiful Wool House was on display at Somerset House, but, in fact it’s been a full six months. 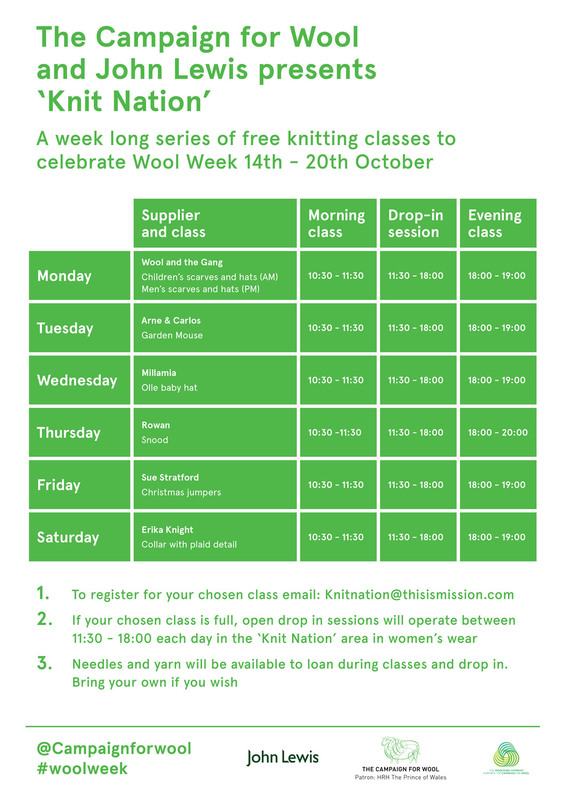 This time, the Campaign for Wool team have hooked up with John Lewis to host a week of FREE knitting classes. Each of the six classes is run by a different supplier, ranging from Christmas jumpers with Sue Stratford to snoods with Rowan (full timetable below). You can either secure a place in the morning or afternoon sessions, or drop in anytime in-between. There’s lots more info here on the Campaign for Wool website.